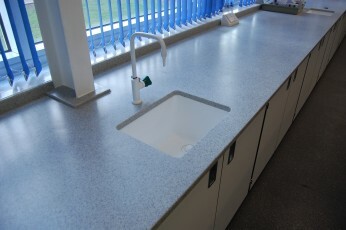 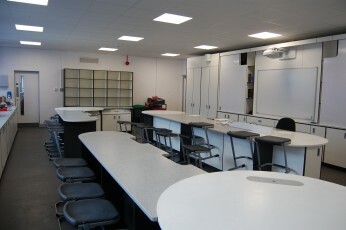 This project involved the strip out and refurbishment of six of Wood Green Academies existing Science laboratories. 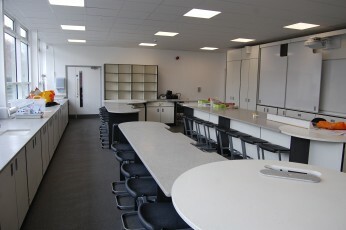 Working closely with the Academy, Architects and specialist furniture manufacturer, Hill Interior created a modern working environment for pupils to use. 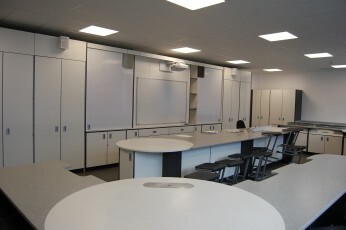 Work involved new mechanical and electrical services, fire alarms and protection, demolition of load bearing walls, new suspended ceilings, partitions, decorations, floor coverings, fire doors and specialist laboratory furniture and teachers walls.